Lindsey (above) prepped at our stage before the Las Vegas Convention Center minutes before doors open. 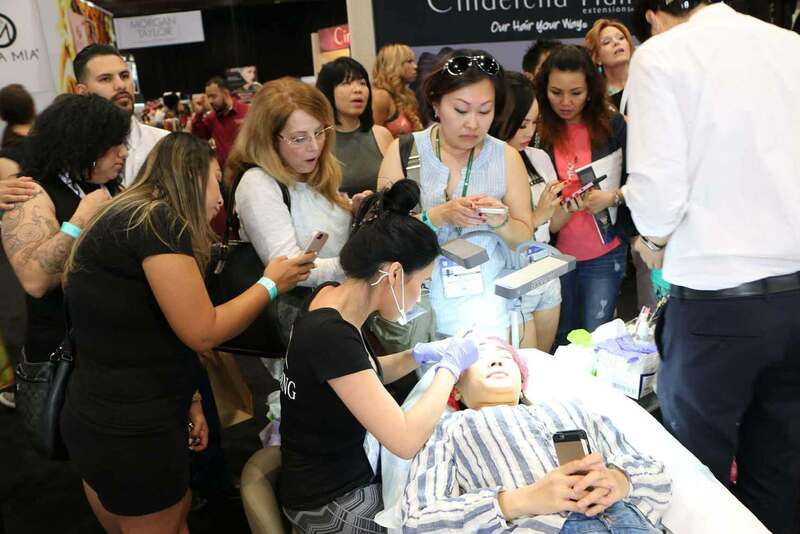 We had four beds set up for live demonstrations from Lindsey Ta (Microblading LA), David Zhang (David Brow Art), Rusen Donmez (Dutch Art Avenue), and Microblading LA’s Stacey Corletto and Julia Faria. 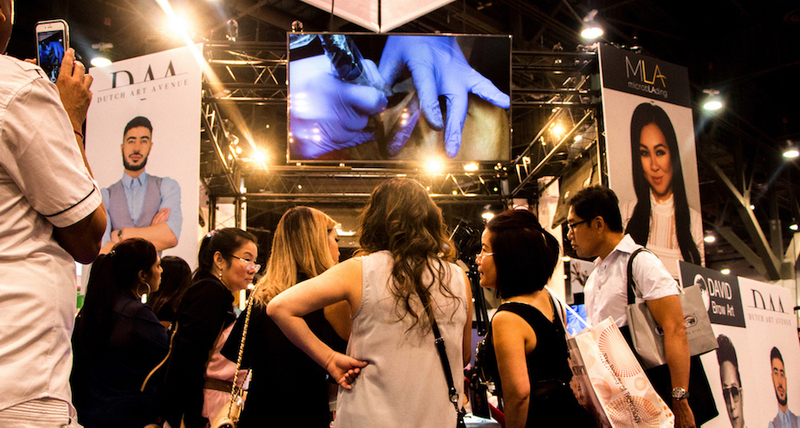 Things get busy after we start our live demonstrations. As crowds formed around the artists, they got an up close and personal look on our 65” 4K televisions we had set up above each artist. David’s so cool he microblades in sunglasses. 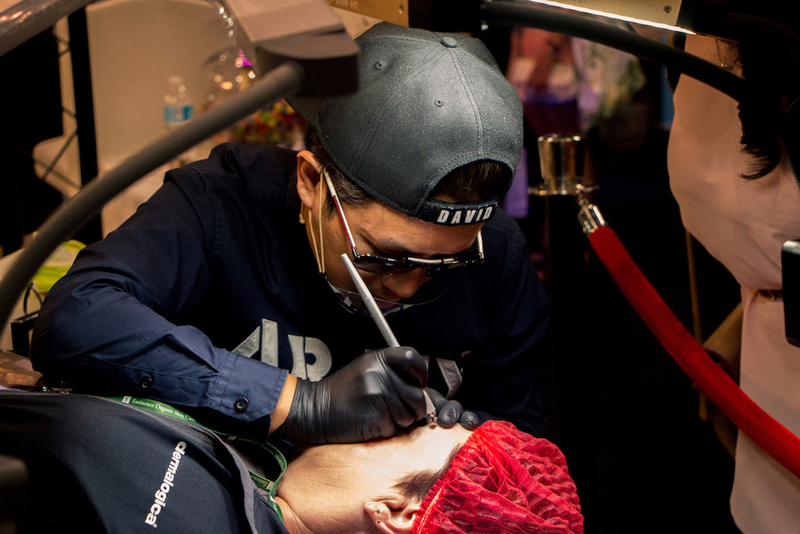 Rusen stayed busy all busy all weekend, creating beautiful ombre eyebrows using the permanent makeup machine and even a pair of lips! 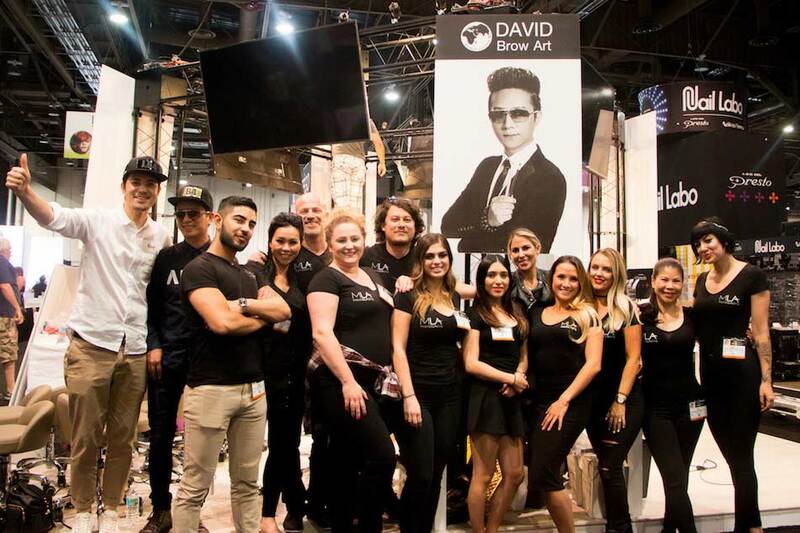 We were so grateful to have David join us again (he was also with us at the 2016 International Beauty Show). Happy clients and fans posed with David all weekend! 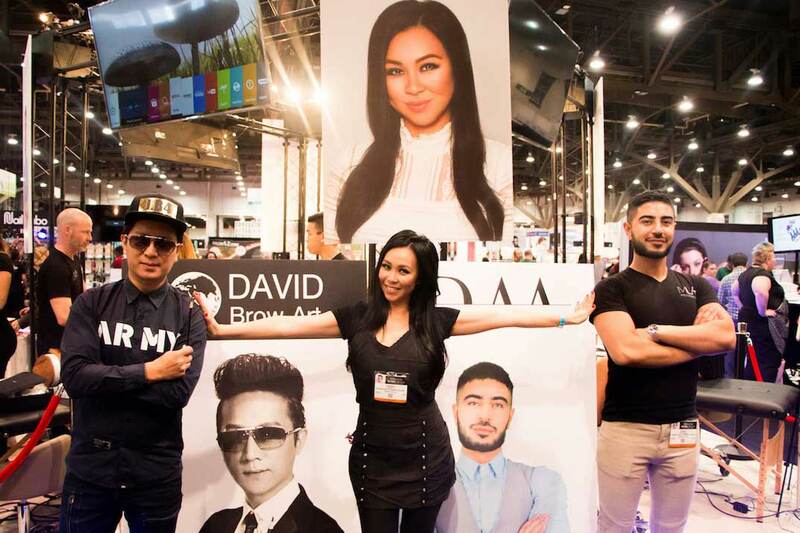 Roy Brender and Lindsey Ta, the owners of Microblading LA, pose after a triumphant weekend in Vegas! We brought the whole squad to Vegas! 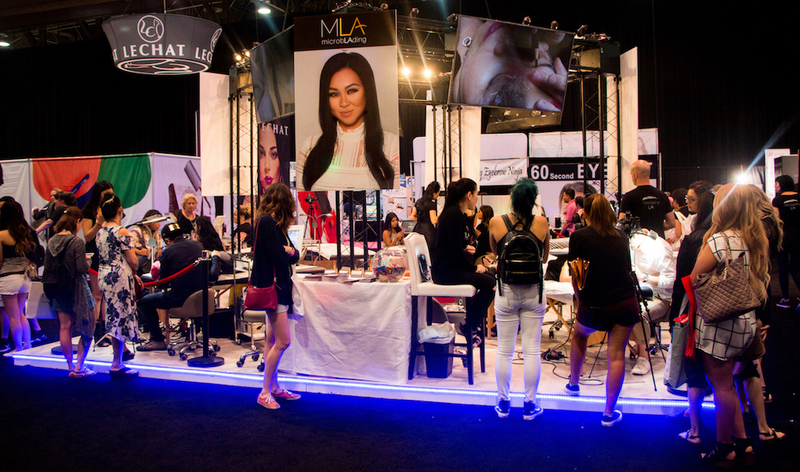 Team assistants Sam and Jessica handed out brochures and flyers to future microblading artists all weekend. 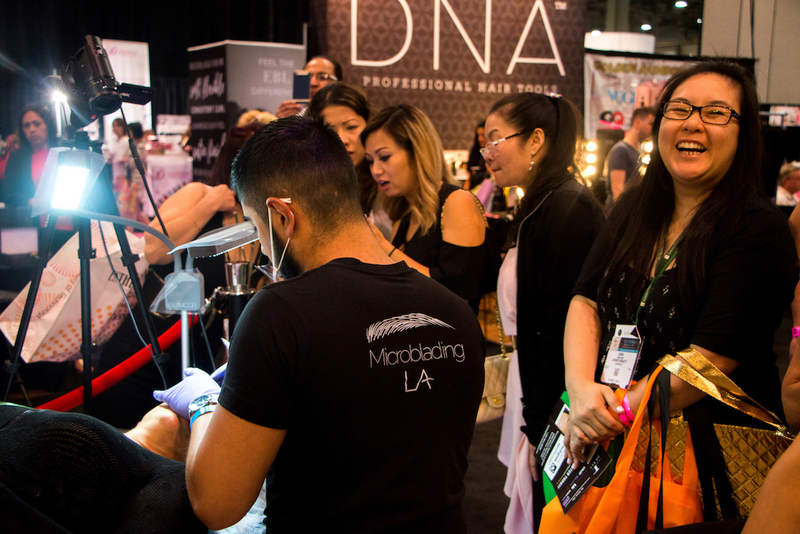 Master educators Lindsey, Rusen, and David all have classes at Microblading LA. 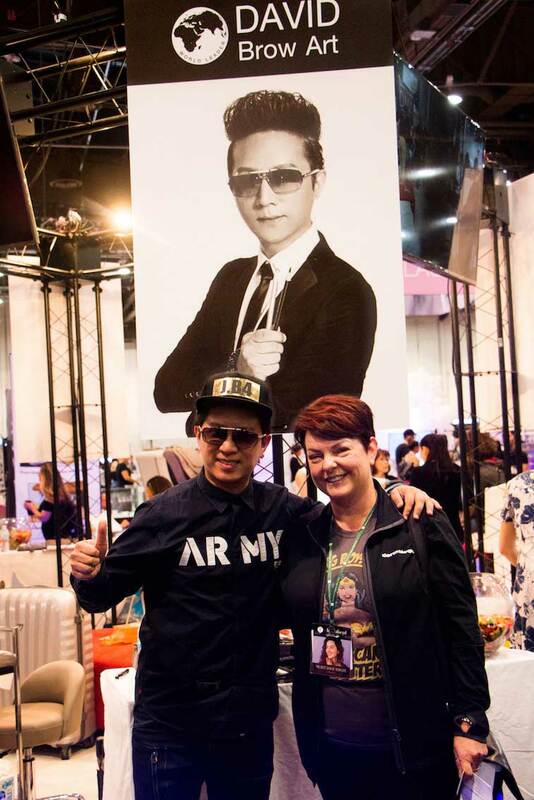 The women of Microblading LA brought their men! We had an amazing time and we can’t for 2018! 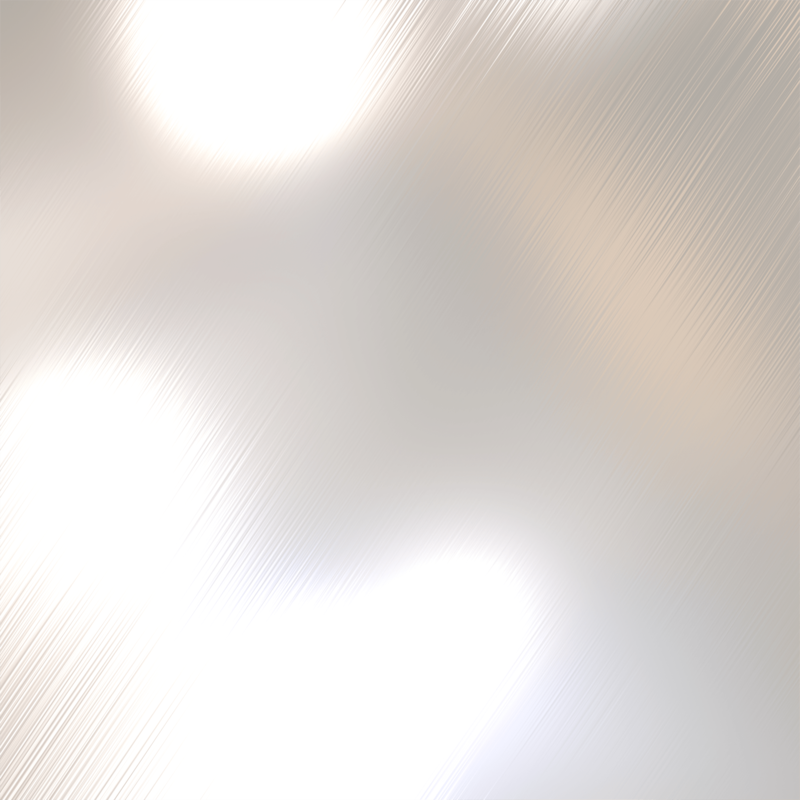 We’re going to go even bigger! 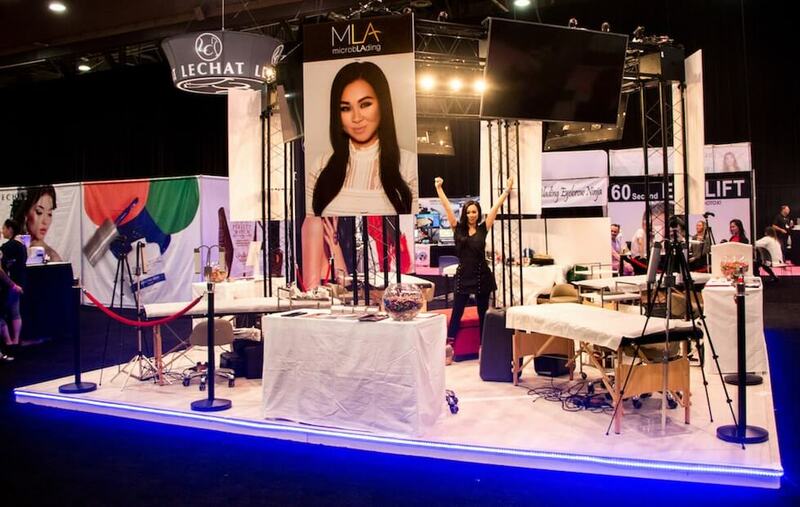 Thank you to all of the fans, former students, and future microblading artists who came out to support us. 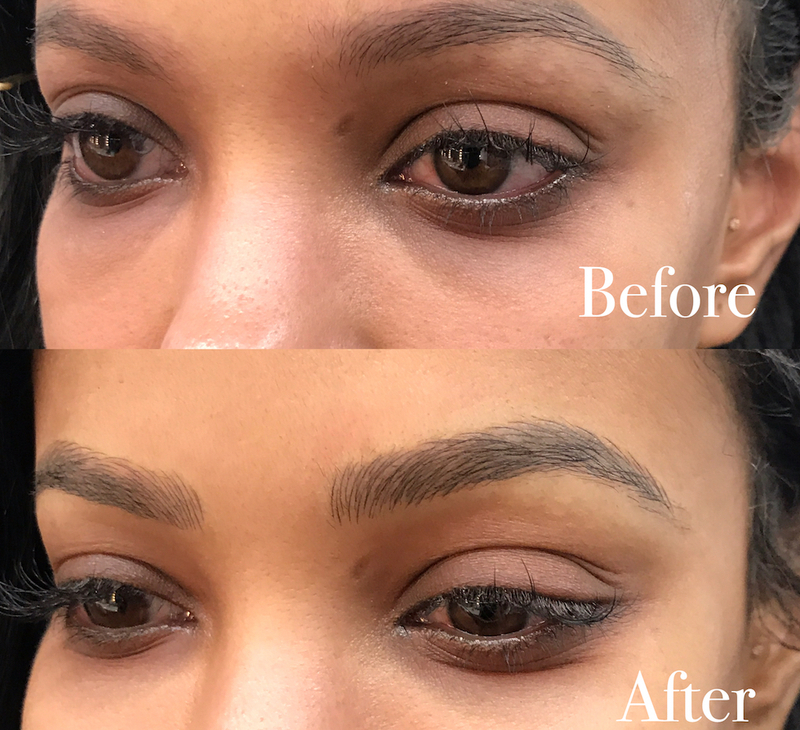 This wouldn’t be possible without the thousands of fans and clients and students who follow us on Instagram and get their eyebrows microbladed and learn the art of microblading everyday on our studio. 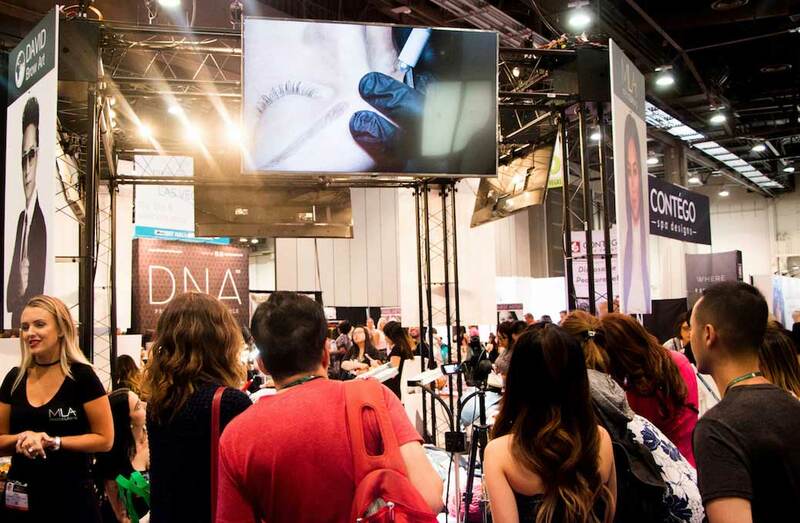 The 2018 International Beauty Show is going to be even hotter… we’ll see you there!